Everyone knows SOS is for emergency, but what does it stand for and why we use SOS for emergency nowadays? Frankly, I don't know. It seems like people use SOS for emergency (urgent assistance is required) simply because it's the most easiest Morse code to remember, 3 dots (S), 3 dashes (O) then 3 dots (S) again. Understandably, under distressed and urgent situation, one may not be able to think properly to signal for help. So, easiest way to call for help would save lives. Imagine you were cracking your head to figure out what is the Morse code for "help" (dot-dot-dot-dot (H), dot (E), dot-dash-dot-dot (L), dot-dash-dash-dot (P)) and the potential rescue could just slip away from you before you able to signal it. 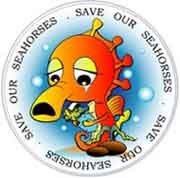 It's Save Our Seahorses. 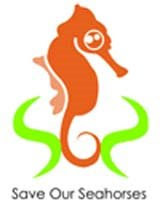 SOS was founded on 2004, a non-profit group committed to save and conserve seahorses and the natural around Sungai Pulai, Johor. I am not going to duplicate the info, click on this link to the site for more details. I am not a founder nor committee of the group, I signed up for the volunteer program and supposed to join the group for their activities and to learn their program on November. Too bad, I have to cancel the trip 'cause my father just passed away. If you are Malaysian or foreigner who happen to drop by my blog, please see what you can do to help the program, at least sign the petition online. If you are editor or writer or journalist of Discovery channel, please consider if you could write or broadcast something for the program to draw more attention. Doesn't it sound like I am calling SOS? Indeed. Yes, I am.